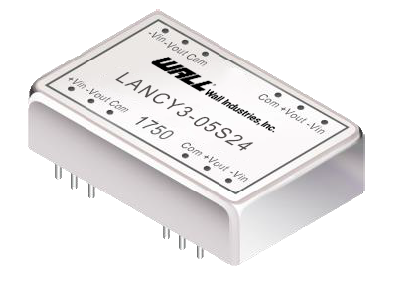 The LANCY3 series of DC/DC converters offers 3 watts of output power in a compact 1.24” x 0.79” x 0.43” 24 pin DIL package. This series consists of regulated single and dual output models with wide input voltage ranges. 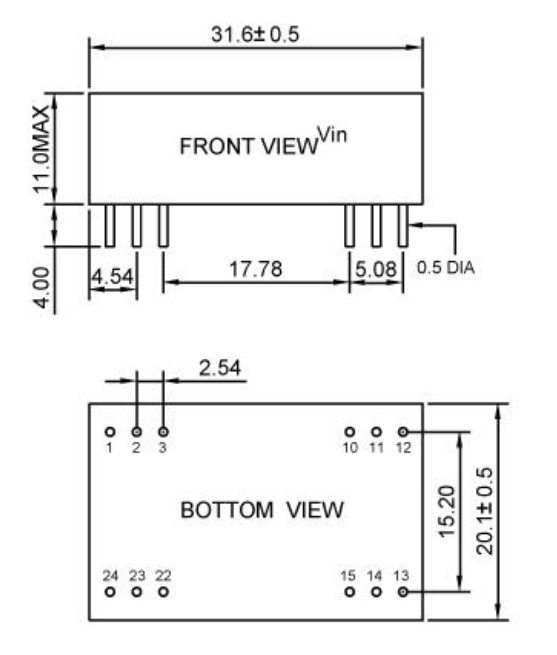 Each model features internal SMD construction, industry standard pinout, low ripple and noise, and high efficiency. This series has short circuit protection and is RoHS compliant. Notes: 1. As the input voltage increases, there will be an increase in efficiency.